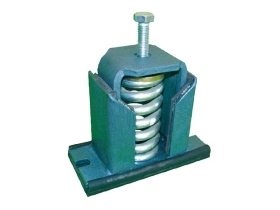 Antivibration spring mounts Vibro-SMRV are a multi directional antivibration restraint with a combination of spring and visco-damper mechanism with adjustable height. 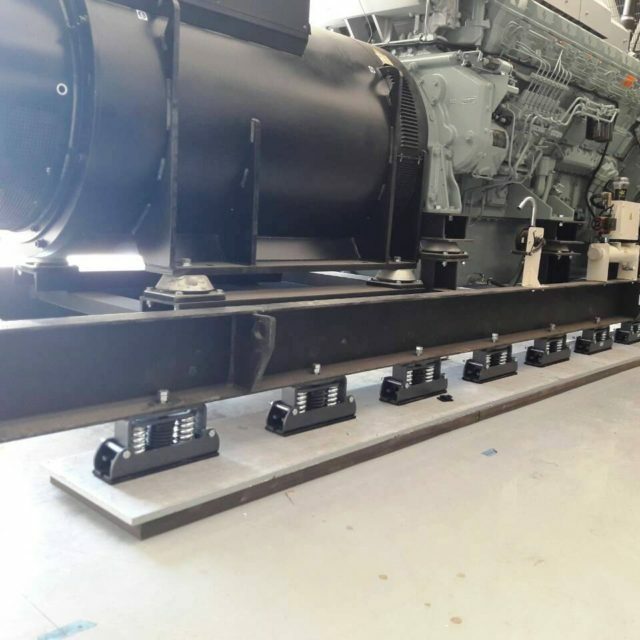 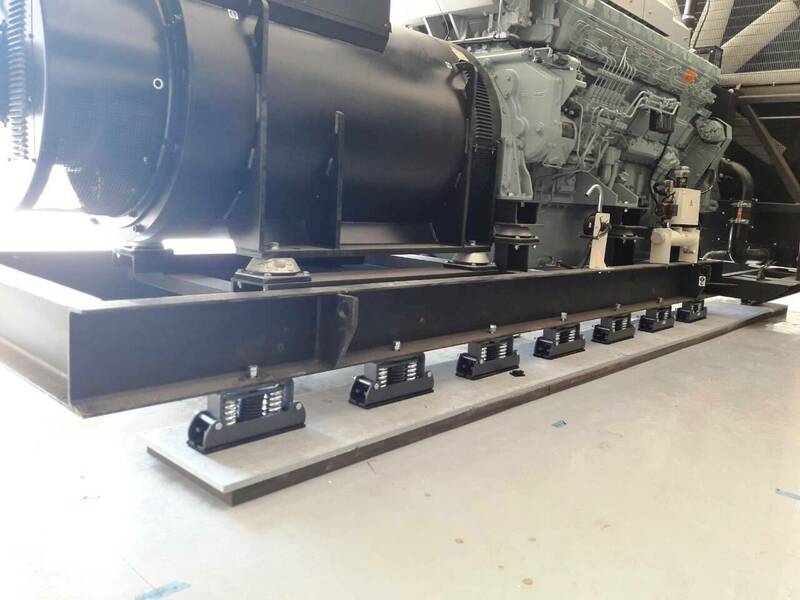 Vibro-SMRV can be used for low frequency vibration control (low speed rotation 400 rpm upwards) that also require lateral and vertical restrain and protection from earthquakes and excess wind pressure. 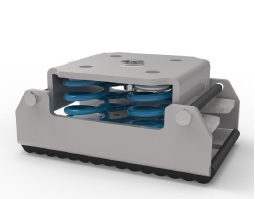 Visco dampers device reduce vibrations by converting kinetic energy into heat thus damping the motion of the system. 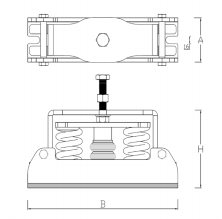 Damping is required in cases where the excitation frequency of the machine is close to its natural frequency. 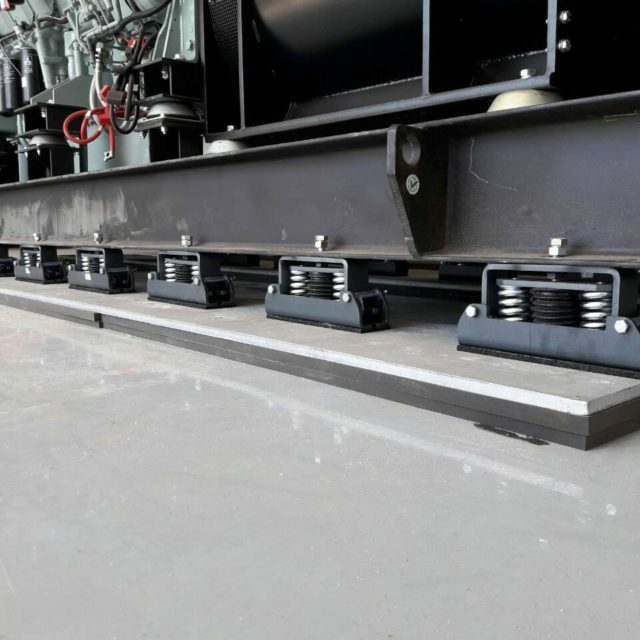 Visco- damper help to reduce the high oscillations rising, while passing through the resonance range in the start-up and shut-down phase of the equipment operation. 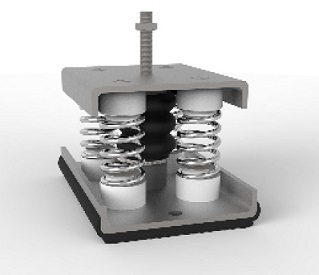 This viscous vibration isolator expands the existing range of spring mounts for vibration isolation of the VIBRO range which has been expanded significantly the last years. 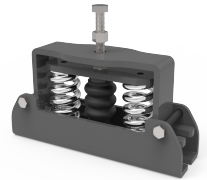 Our current range of spring mounts can cover a wide range of projects requiring low natural frequency and high vibration isolation efficiency weather that is via viscous damper or via increased deflection spring mounts. 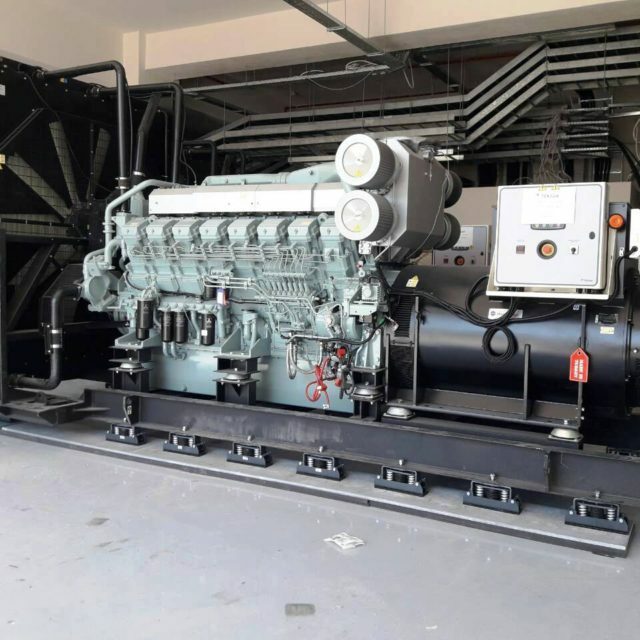 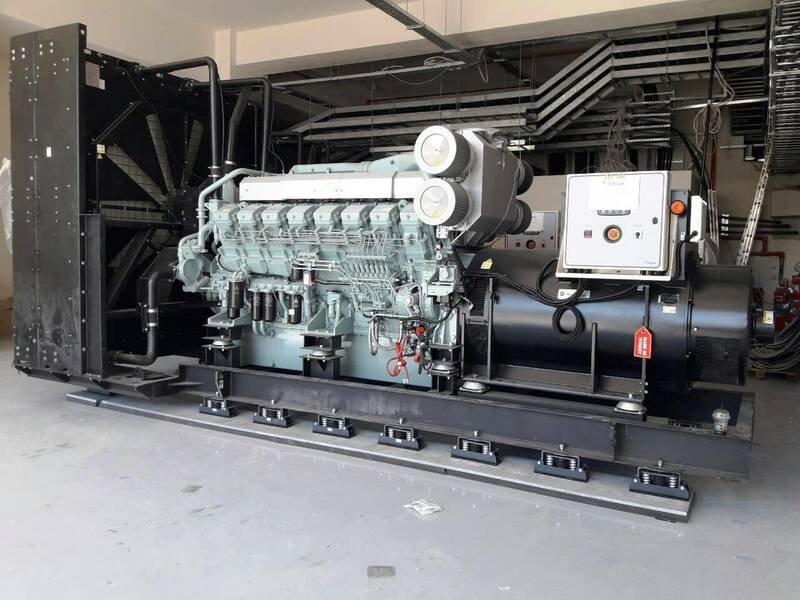 Typical applications are air compressors, two-cycle engines, chillers, water cooling towers, air handling units etc. 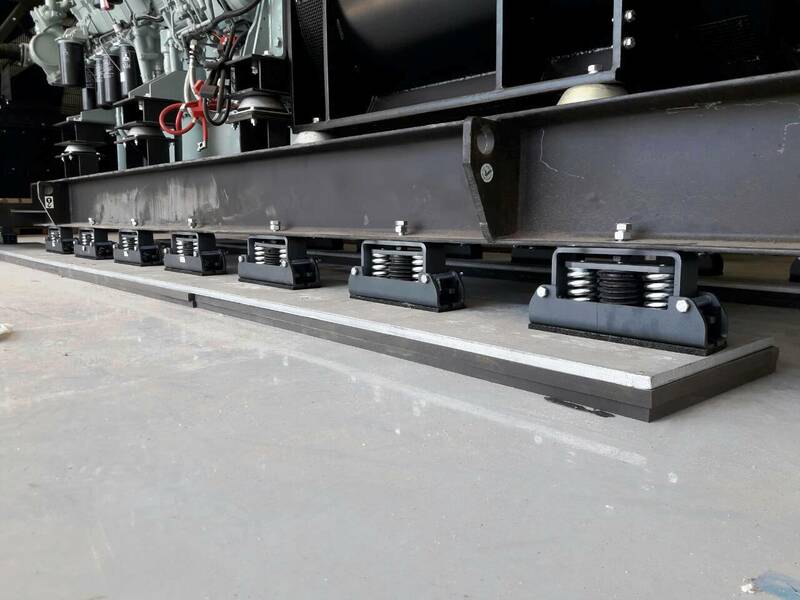 The casing is made of real steel and is protected from oxidation with polyester powder paint (hot dip galvanized on request).